Sicily and the archipelago of eight Aeolian islands (Lipari), named after the mythical God of Wind Aeolus, was once a hideout used by pirates as a base for their numerous attacks. The dominant winds throughout the year are north-westerly (Mistral) and south-easterly (Scirocco). You will encounter calm skies for 70 % of the summer. The Amalfi coast and up towards Naples and the Pontine Islands: the weather is generally very good. Winds are mainly westerly (the Ponent) to north-easterly (the Grecale) but it is not rare that the wind drops completely. Near the coasts there are thermal winds that pick up at the end of the morning and can reach up to 15 knots at the end of the afternoon, when at their strongest. The Isle of Elba and the Isles of the Tuscan Arhcipelago (Giglio and Giannutri): Tramontana, mistral and Sirocco are generally found in this area. Otherwise the winds are light and of varying force, direction and frequency. - Flights Paris-Palermo or Paris-Catana for Sicily. 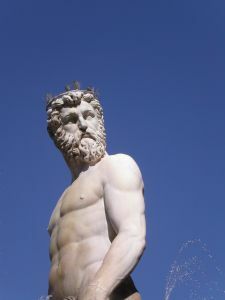 - Flights Paris-Rome then internal flights to Naples the Pontine Islands. 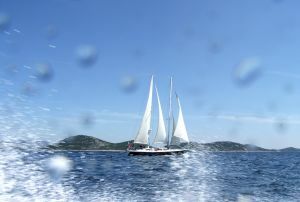 - Flights Paris-Olbia or ferry from Bonifacio (south Corsica) to Santa Teresa (north Sardinia). - Ferry from Genoa to the Isle of Elba. European zone of the Euro. Provisions easily bought at each base. "La pasta" is a classic on board so look out for "De Cecco" or "Voiello" brand names and of course the numerous accompanying sauces unheard of on the continent. At each port of call you will discover colourful markets, pungent with the scents of Mediterranean vegetables, excellent meats and a multitude of cheese. Don’t miss out of a few bottles of Limoncello or local sparkling wines. Identity card required. Nothing to report. The Magdalena archipelago in north-eatern Sardinia, the natural reserve of Caprera and Porto Cervo, famous meeting point for the international jet-set. From Palerma, head westwards along the coast between San Vito Lo Capo, Trapani and Marsala among the Egades Islands. To the east, the wind will lead you to Cefalu and the oriental point of Sicily at Messine. 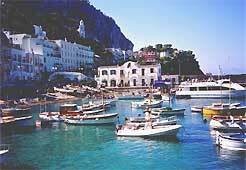 Capri is unforgettable, surrounded by the picturesque Isles of Ischia, Procida, Palmarola, Ponza and Ventotena. Between Genoa and La Spezia, visit the magnificent coast of Cape Porto Fino to Cape Porto Venere via Santa Margarita, Sestri Levante, "Cinque Terre". Then set sail towards the south to, Capraïa and the Isle of Elba: creeks of crystal water or large bays fringed with white beaches. Further to the south you will encounter, Montecristo and Cala Maestre, then the Iles of Giglio and Giannutri and the Gulf of Spalmatoi and finally the Argentario peninsula and its breathtakingly high rocky inlets. The city of Naples, seeped in mythological, Greek and Roman history, the Vesuvius and Pompeii close to the city, the island of Capri, famous for its flowers, Ischia, Positano Amalfi to give pleasure to all of your senses. We then set sail for Procida, coloured with orange and lemon trees (12 m), Procida-Ischia, St. Angelo-Capri (rocky landscapes and historical palaces and villas) (16 m), Capri-Sorrento-Amalfi (25 m), Amalfi-Ventotene (57 m), and returning to Naples.